What drew more than 1,000 volunteers from 30 local companies to 44 non-profit agencies to work on 90 different projects — all in one day? The answer: United Way of the Midlands 2018 Day of Caring. 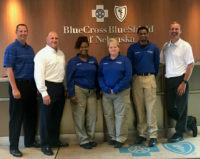 Blue Cross and Blue Shield of Nebraska, my employer, has participated for many years since the annual event began in 2001. It’s something many of us look forward to – in fact, on September 21, more than one third of the Day of Caring volunteers throughout the metro were Blue Cross employees. In years past, my own involvement has included painting, doing yardwork, assembling packets and addressing postcards. This year, I chose the Refugee Empowerment Center for my Day of Caring assignment. 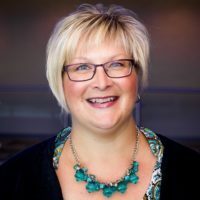 One of my team members had previously served on their board, so I was somewhat familiar with their work and wanted to learn more. 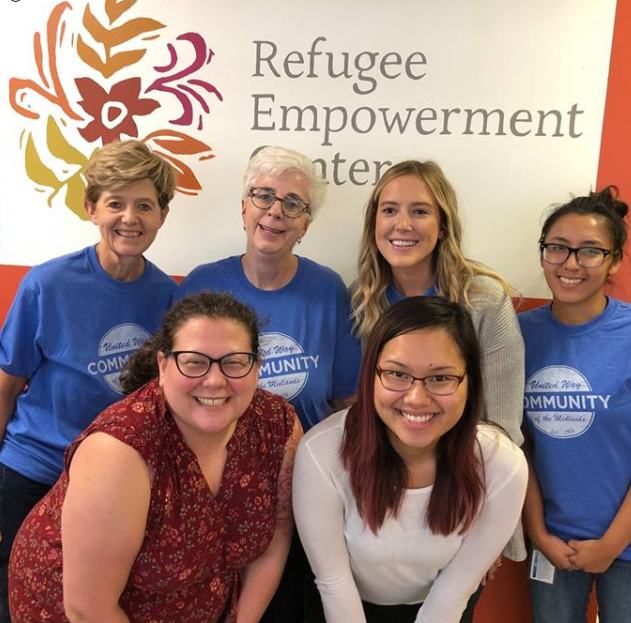 Since its founding in 1997, the Refugee Empowerment Center has resettled refugees from Afghanistan, Bhutan, Burma, Burundi, the Congo, Ethiopia, Iraq, Liberia, Somalia, Sudan, and Syria. Their mission: to resettle and empower refugees to become self-sufficient through direct services and educational programming. 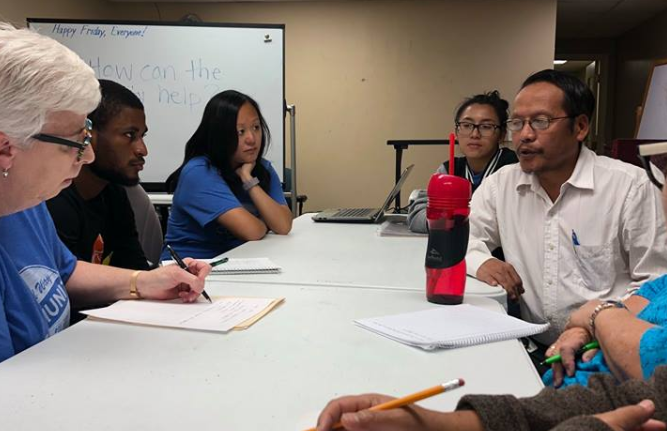 We arrived at the Refugee Empowerment Center office at 3610 Dodge Street less than 24 hours after approximately 500 Mynamar refugees were evacuated from the Yale Park Apartments at 34th and Lake Streets. City inspectors deemed the conditions unlivable, citing problems ranging from unsafe electrical circuits and natural gas leaks to units infested with mice, bedbugs, lice and maggots. The center’s staff were focused on the humanitarian effort of coordinating with other agencies to find housing for those displaced. It was anything but a typical day for the agency. Julie Lubisi, director of Programs and Compliance, greeted our volunteer team and explained our assignments. First, we broke into small groups and listened to refugees and center volunteers describe the conditions at the Yale Park complex. Our eyes were opened to living conditions we thought unimaginable in the Omaha/Council Bluffs area. Next, we worked alongside interpreters to help facilitate a cultural assessment – a series of questions to gauge the refugees’ retention of key learnings from their recently completed orientation sessions. Our role was to make sure the questions being asked were understood and the responses recorded correctly. 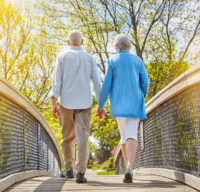 Questions ranged from basic information, such as name, address and phone, to what to do in an emergency, how to stay safe at home and what’s required for a job search. As volunteers, we witnessed determination and humility as the refugees communicated their responses through interpreters. • As a community, we need to do better for all refugees. What happened at the Yale Park Apartments is unacceptable. We need to consider this a wake-up call to drive awareness to the greater Omaha community about the issues facing refugees. • We are blessed to have the Refugee Empowerment Center, Heartland Family Services, Lutheran Family Services of Nebraska, The Salvation Army and the Omaha Public Schools Community Foundation in our community. Those organizations all worked together to deploy resources necessary to respond immediately to an unprecedented need. 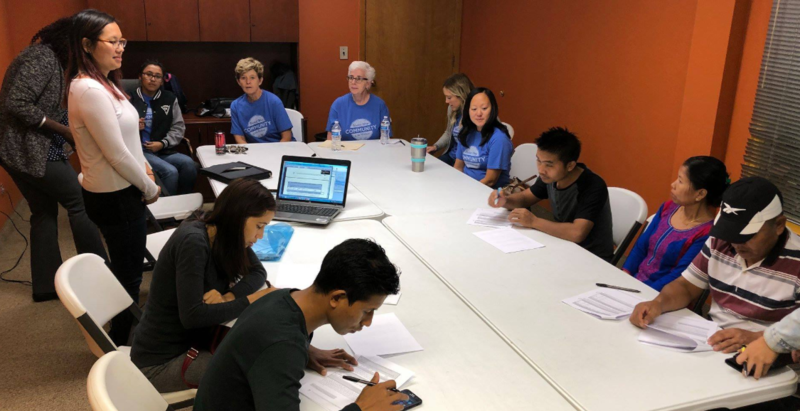 Although Day of Caring is about giving back in a small way, what we learned in a few hours visiting one United Way agency made a significant impact on us all. It’s true that through volunteering you receive way more than you give.